Aircoach is investing €2.4 million in their Cork-Dublin route, with the imminent introduction of seven state of the art new vehicles, demonstrating the company’s strong commitment to Cork, providing a 24 hour, seven days a week, transport service between these two important urban centres and Dublin Airport. This announcement, which is on the back of sustained growth across the Aircoach business brings to over €4.5 million total investment in new vehicles in the past 12 months. Pictured at the announcement at the Port of Cork is Eugene Brennan, coach driver with Aircoach, Dervla McKay, Managing Director of Aircoach and Cork singer-songwriter John Spillane. The investment demonstrates the companys strong commitment to Cork with the introduction of seven new state of the art vehicles to the Cork-Dublin route. 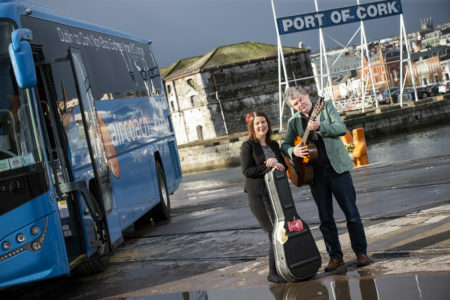 Pictured at the announcement at the Port of Cork is Cork singer-songwriter John Spillane with Dervla McKay, Managing Director of Aircoach. 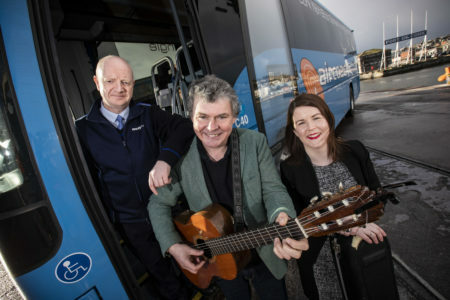 This commitment from Aircoach to Cork is in addition to a substantial investment in technology leading to even more frequent departure times to their schedule as well as introducing online real-time coach tracker and contactless payments, making journeys even easier and hassle-free for customers.